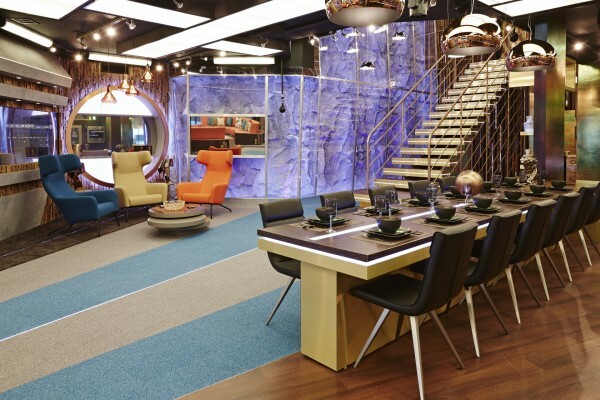 Big Brother bosses have redesigned the house ahead of the start of the new series next week. 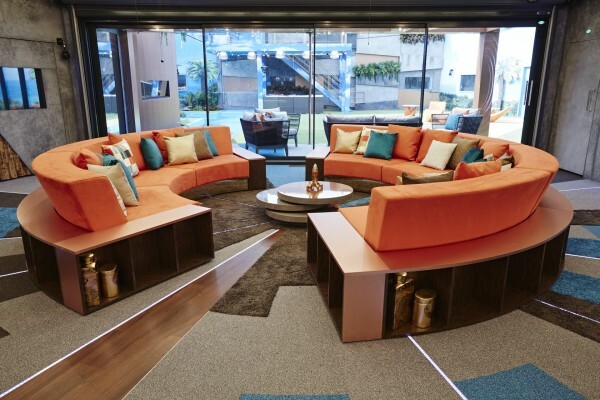 The building – which will be home to the latest bunch of housemates from next Tuesday – comes complete with a fish tank and a round sofa said to be inspired by the 1960s style of hit TV show Mad Men. 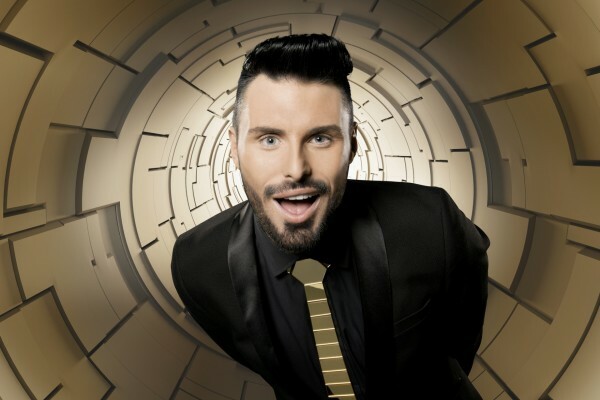 Big Brother bosses are keeping tight-lipped about the line-up, but presenters Emma Willis and Rylan Clark will return to the Channel 5 reality TV show which is now called Big Brother: Timebomb. It was announced last month that Channel 5 had signed up for another three years of the show, which will keep it on air until 2018. The station said it would continue to show one series of Big Brother every year along with with two series of the celebrity spin-off version. The show, originally broadcast in the UK on Channel 4, has been a huge success for Channel 5 and guarantees them big audiences as well as a steady stream of controversy. Media watchdog Ofcom received thousands of complaints about the last series of CBB which was dogged by controversy with former Coronation Street star Ken Morley, singer Alexander O’Neal and former Baywatch actor Jeremy Jackson all leaving the house unexpectedly. Morley, 72, was evicted for using ‘unacceptable language’, O’Neal quit following a series of heated exchanges with Perez Hilton and Jackson, 34, was booted out after former Page Three girl Chloe Goodman claimed he drunkenly tried to look at her breasts while they were alone in the toilet. He was subsequently given a police caution for common assault. The show has a history of controversy and the previous series was the second most-complained-about show of last year, with 1,874 people contacting the watchdog. 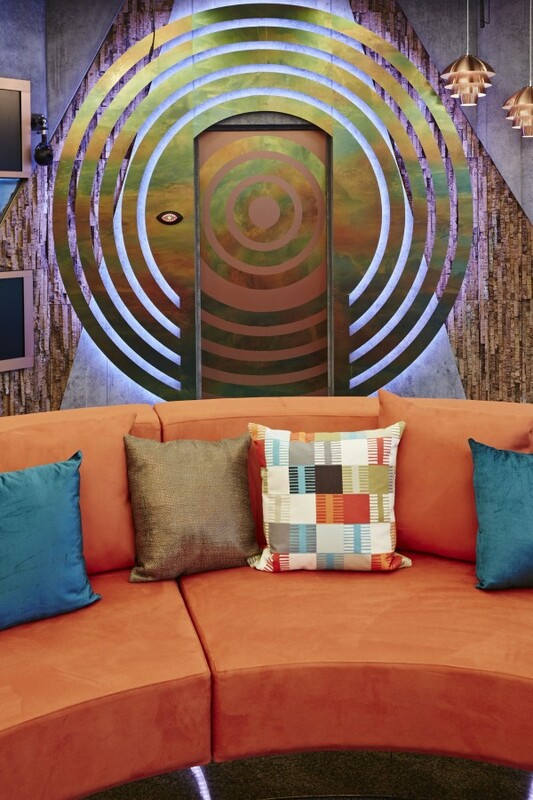 The only programme with a worse record was last year’s Big Brother series, which received 3,784 complaints, many centred on the behaviour of its eventual winner Helen Wood, who was accused of bullying other contestants. Last year, Ofcom found the main show breached the broadcasting code after a pre-watershed scene where housemates swore 14 times within 50 seconds.